Alright, y’all. Get ready for this month’s Instagrammers to Follow because it is sure to have you feeling all sorts of inspired by the end of the post! 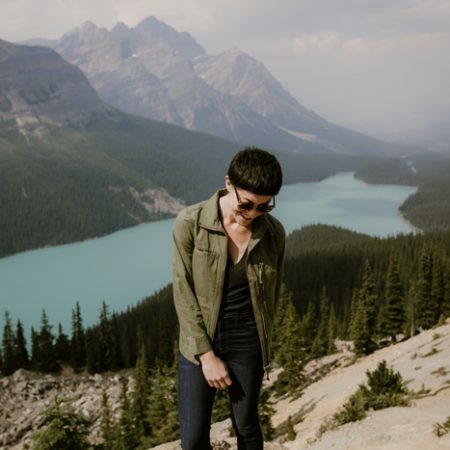 These ‘grammers share some of the ways they continue to use the app to benefit them, their business, and their clients even with the not-so-popular algorithm changes. Enjoy! Instagram has connected us with so many inspiring people locally and around the US. 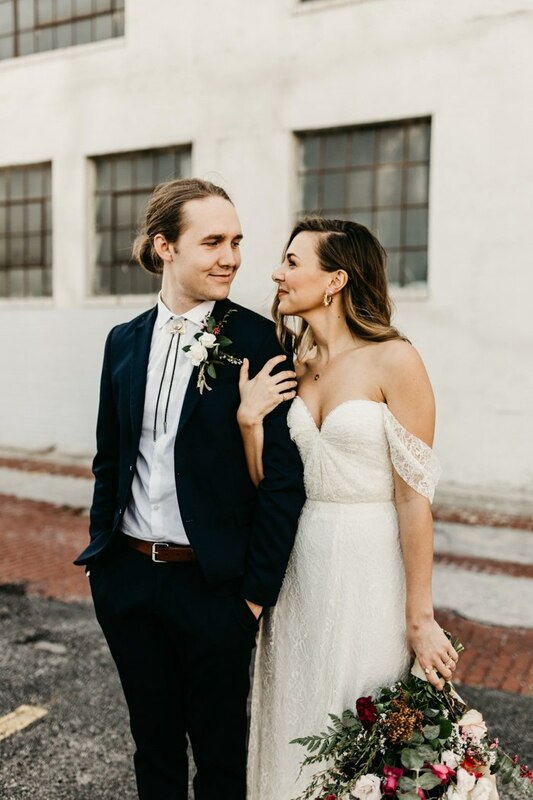 Working in between the wedding and outdoor industry has put us in somewhat of a unique niche, and Instagram has been a great way to define our brand and attract those types of couples who connect with it. Comparatively speaking, we don’t have a huge following, but we consistently get around 75% of our inquiries through the platform. It’s also been a great way to meet and network with other photographers who are doing similar work. Some of our closest friends in the industry have come through randomly messaging each other on Instagram and deciding to meet up for a hike when we’re both in the same area. Instagram is so user-friendly and there are so many people actively on it, it’s been a hugely helpful tool for our business. So don’t worry so much about the numbers, think more about the client experience. Put yourself in front of the clients you want to work with by using relevant hashtags (especially location hashtags) and using the geotagging feature. 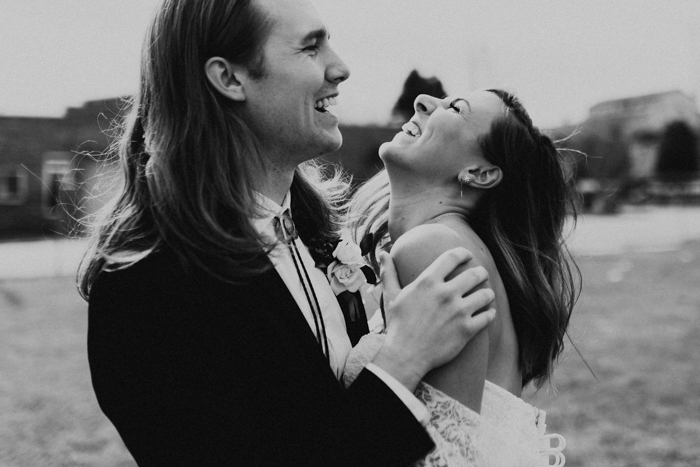 If you were a recently engaged couple looking for a photographer, what hashtags would you search? When writing captions, keep the potential couple in mind, be genuine, and don’t be afraid of writing long captions. A caption that tells a story about the photo you’re posting is much more engaging than a caption with lyrics to a love song. Also, post about yourself. Some of our clients have told us that the reason they reached out was because we talked about how nerdy we really are when we posted a photo of us being silly in the mountains. People will follow you for your beautiful photos, but they will hire you because they can imagine themselves hanging out with you. Be genuine, engage with your followers, and always keep in mind the couple you want to work with. Our most popular photo is actually a photo of we took of ourselves. We were scouting locations for a session in Moab and we set our camera on a rock and took a self-timer photo as a test shot. We had been camping for several days before that, so we were unshowered and sweaty, both wearing Chacos and I was wearing my favorite shirt that has holes in the elbows–all of which contributed to a very real representation of who we are. I loved the photo and posted it later with a caption talking about how we got engaged after a spelunking adventure. I think that post did so well because it showed our followers who the real people behind the cameras are. It was relatable and it showed us doing what we love in the outdoors–messy hair & worn out clothes and all. 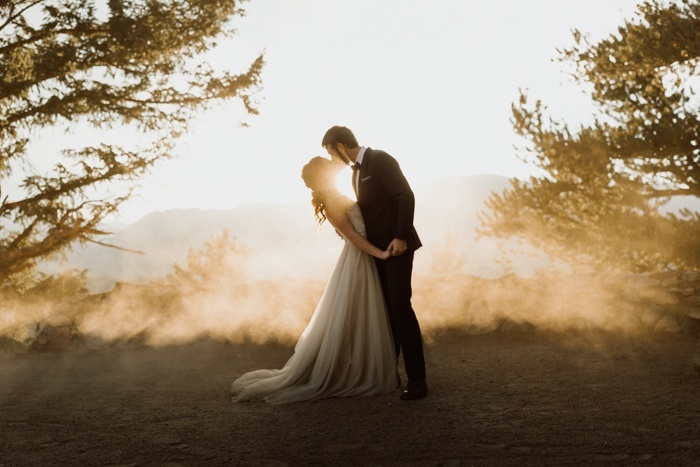 I’ve loved @hufort since the very beginning, from his weddings to food photography to the surfing photos he’s been taking recently, all of it has a subtlety that we aim for in our own work. I also love @renan_ozturk. 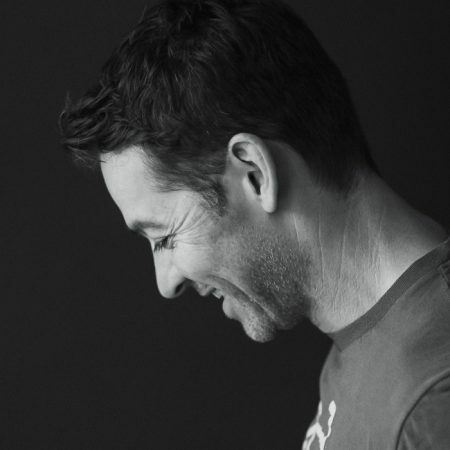 Aside from taking epic adventure photos, he tells stories in such an artful & sensitive way. 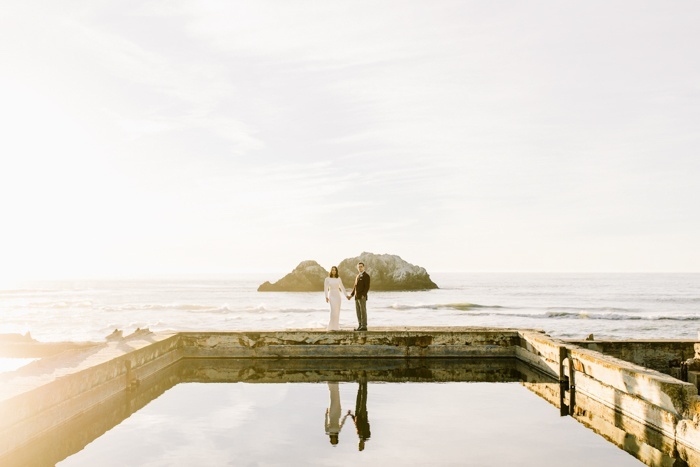 For wedding photography, I’m super inspired by our friends @thehearnes. Not only do they capture photos in beautiful places, they also care deeply about the places they shoot and it shows. And I can’t deny the influence that both @levitijerina and @katchsilva have had on our work. They each capture moments differently, but both have such deep intentionality and purpose in the way they shoot and I really admire them for it. Instagram has been a huge, huge tool for my business! Definitely is the leading resource for inquiries. It has completely expanded my business from outside my current area and introduced me to clients that I otherwise would have never met. It’s also a great platform to meet and collaborate with other artists. 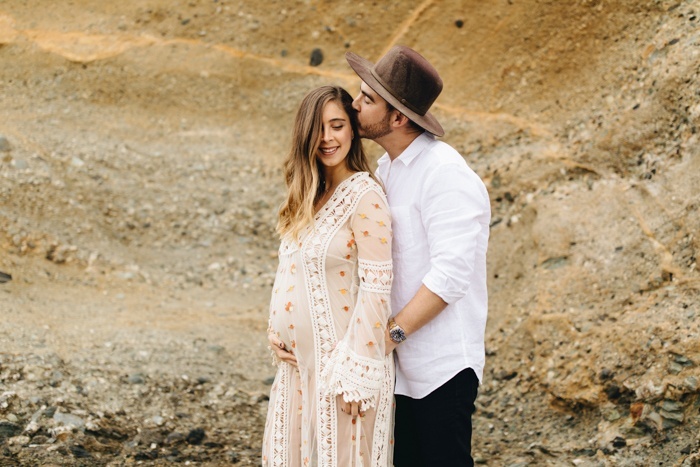 Though I know Instagram can be a double-edged sword, it has absolutely played a vital role in my business growth and I am really grateful for it. I think more than anything, my advice is to stay true to yourself and your work. Posting content that attracts clientele/followers who are drawn to that specific style is important. 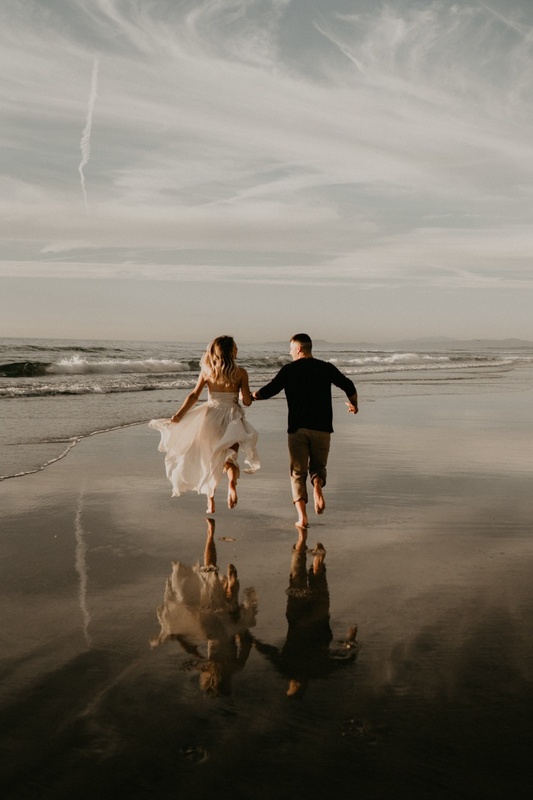 I post a mix of my wedding/couple work as well as my lifestyle family photography because those are the two things my brand is built upon – so I want my potential clients to know exactly what it is that I bring to the table. I am also a huge believer in quality over quantity. I would much rather have a smaller following, with those followers genuinely interested in my work compared to a larger following not connected to me. Another really big tip here is showing your followers who you are. I have learned that as photographers, our followers want to see who we are not only as photographers, but also as human beings. They want to see moments in our daily life and our homes and our weekends- Instagram stories are great for this. Just being real and transparent. I have received countless messages from others who have said they’ve followed me for years, even before I began sharing my work on my feed- and they feel like they know me because of that and are more drawn to my current work because of it. 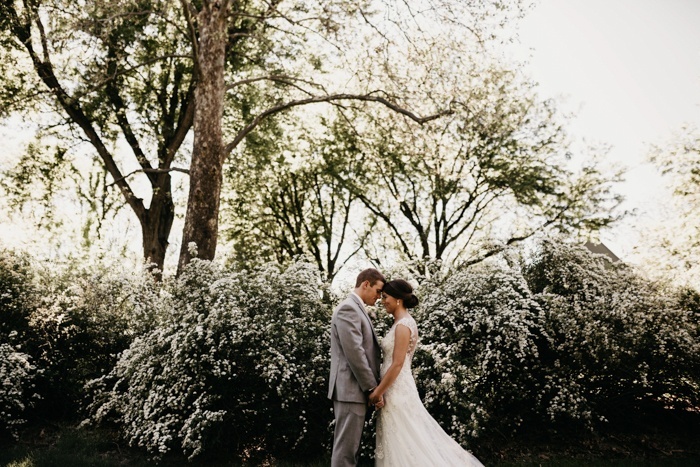 I have had brides tell me that they knew after following me on Instagram years ago, that I would shoot their wedding. It’s a really great, funny feeling. 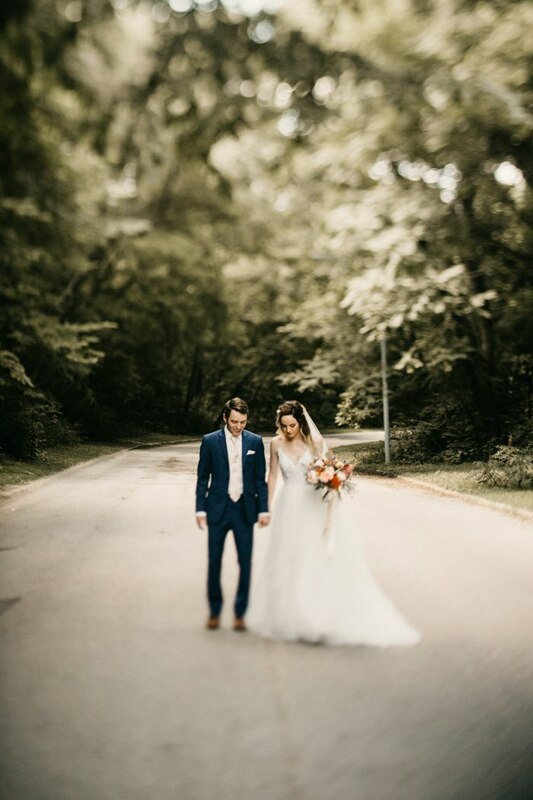 One of my most popular photos I have shared is this tight frame of this bride and groom- which is also one of my favorite photographs. I’m really drawn to getting those up-close and personal shots, which I feel has become my signature. I think this was one of my most popular photos because you can feel their emotion and it’s just a photo that, for me, is really calming. Although I’m constantly changing where I pull inspiration from, I’m currently inspired by @chrisandruth, @thekitcheners, and @stanflan. Instagram has affected my business in a huge way through the last few years. About 80% of the inquiries I receive say they found me on Instagram, so it’s the main way that clients find me. It’s also a great way to connect with other like-minded humans (or non humans too, I suppose? ), and grow together in the industry. Honestly, with the way Instagram has been behaving lately, its hard to keep up, but despite whatever algorithm they impose or not, my tips would be the same: Don’t expect people to interact with you if you don’t give them a reason to, and if you don’t interact with them as well. Be active, not just on your posts, but other people’s posts. Be kind, honest, and specific when engaging with other accounts. Post consistent work, but don’t forget to include variety, so you don’t start to feel predictable. Be yourself, and don’t forget to insert your own personality and brand into every single thing you share, whether it’s images, text, or videos on stories! 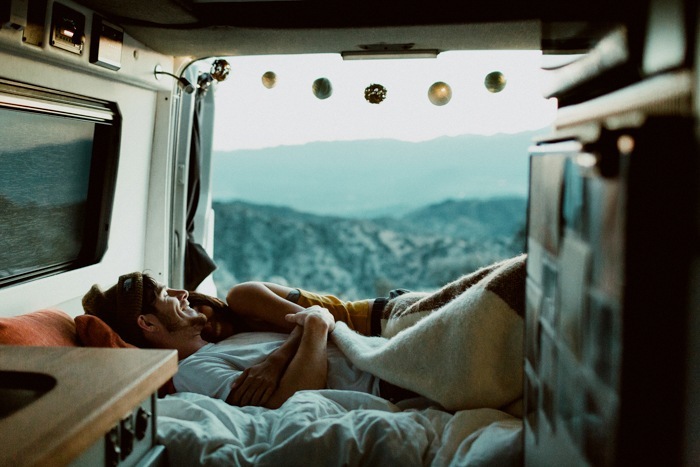 The photo of me and Ben laying in our van with the mountains in the background is by far the most popular photo I’ve ever posted. 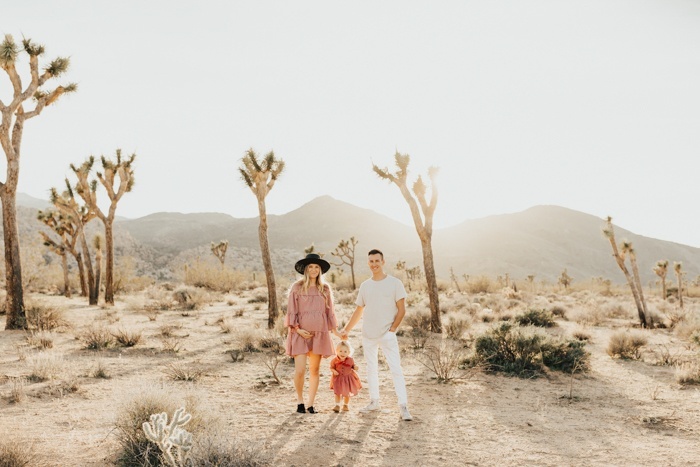 I think it’s because not only does it contain everything that defines me and my brand, (laughter, nature, minimalism, etc) but it also has the added personal factor: It’s a photo I took, of us, in our van, using a tripod, on one of my favorite days in my favorite place, Joshua Tree. I think people really enjoy seeing the person behind the camera, and this image had all of that! 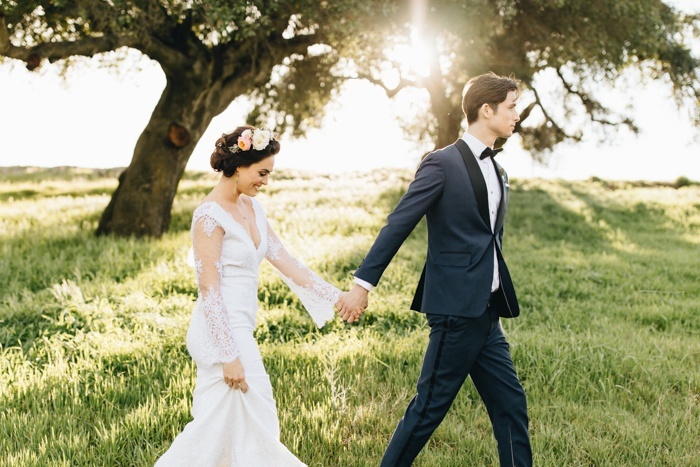 Some non-wedding photographers that I follow for inspiration are @emstempest, @davisayer, @sofiesund, and @bird.ee. Almost all of my clients are from Instagram. If I have to guess a number, I would say it’s 90% of the time and the other 10% would be from word of mouth. It is a perfect platform to showcase not only your work but also who you are as an artist and a person. Couples all over country and the world have found me through Instagram. Some flew into Seattle because they are in love with the Pacific Northwest sceneries and weather. Some booked me to them and thanks to Instagram, I have been able to travel to places I never thought I would have. Instagram has also allowed me to connect with other creatives. I’ve met photographers, florists, event planners, and so many others who are my biggest inspirations. I appreciate all the friendships and connections I’ve made with clients and other awesome creative in the industry. Whether you’re new or not, don’t lose sight of who you truly are and what you stand for when it comes to expressing yourself through photography. For the longest time, my heart hurt whenever I posted a photo of my husband and I or another LGBT couple and I would immediately lose followers. Therefore, I stopped posting what I think could hurt my business. However, I’ve learned to accept that some photos will not do well compared to others but they still are still good work and I still want to followers and friends to see that. If I don’t stand for what I believe in, who will stand for me? Yes I’ve lost followers but I’ve also kept all those who matters and who will organically engage in everything I post. Let me tell you my friends, nothing beats organic engagements on Instagram. 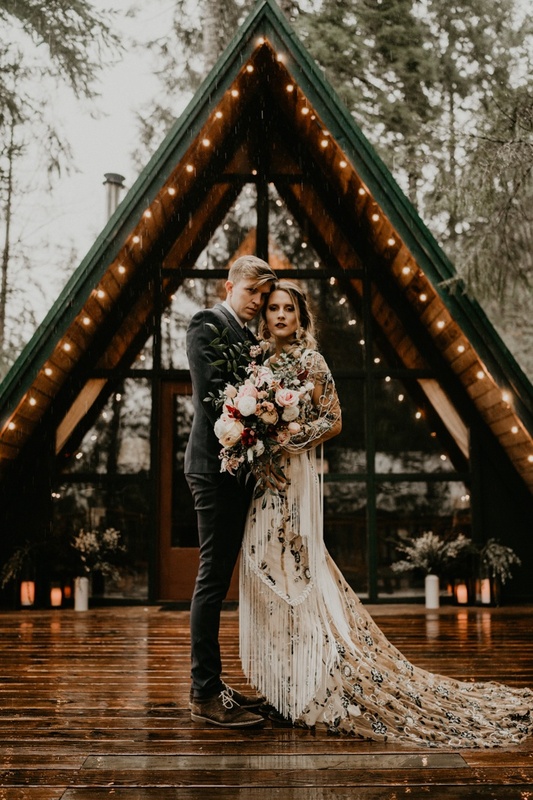 My most popular post is the one of the couple who stood right in front of an A-frame cabin looking straight into the camera. 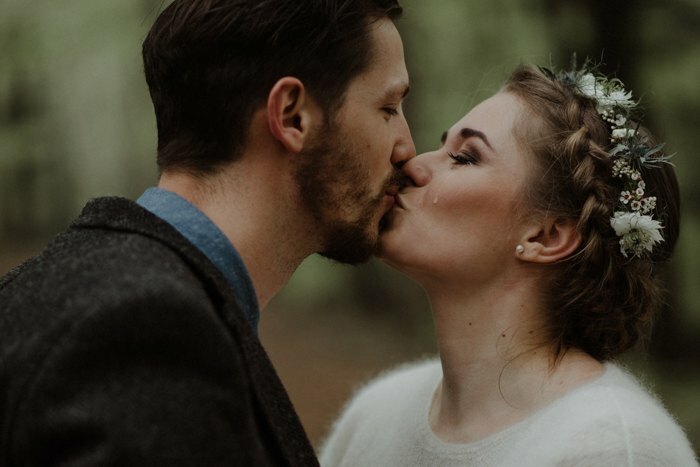 I think that post did so well because it is an elopement that no one really has seen before. There isn’t an epic mountain or lake or the ocean in the background. Instead, it consists of a couple standing in front of a warm and cozy cabin and getting rained on and still looking as gorgeous as ever. If I ever need to describe what my style and my approach to wedding photography is through photos, this photo would be it. I am all about embracing all the elements around us into photography whether it is rain, snow, sun, or dirt and my Instagram feed shows just that. I would say Instagram has affected my business in many ways, not only building community with other photographers but as well as my clientele. A huge percentage of my clients comes from Instagram and to know that when I share my work other people are able to see it and connect is the best thing ever. One thing I have always stuck by when posting my work is to remember that every post that I make, I know that it’s some of my best work. A friend once told me the best marketing is posting your best work consistently, and I believe the effort and thought I have made into my photos that I post can honestly reflect that. If I was to give a tip for others is to always post your best work and be consistent and intentional. I remember when I really started to take Instagram seriously I would be posting 2-3 times a day, remembering the work that I was going to put up was always, what I thought, some of my favorites. It’s not always easy to have content so thats when reaching out to other couples and friends to go out and shoot comes to play and the hustle continues. My most popular photos is the sparkler exit photos of Mark and Jules. I would say its the most popular for a few reasons. 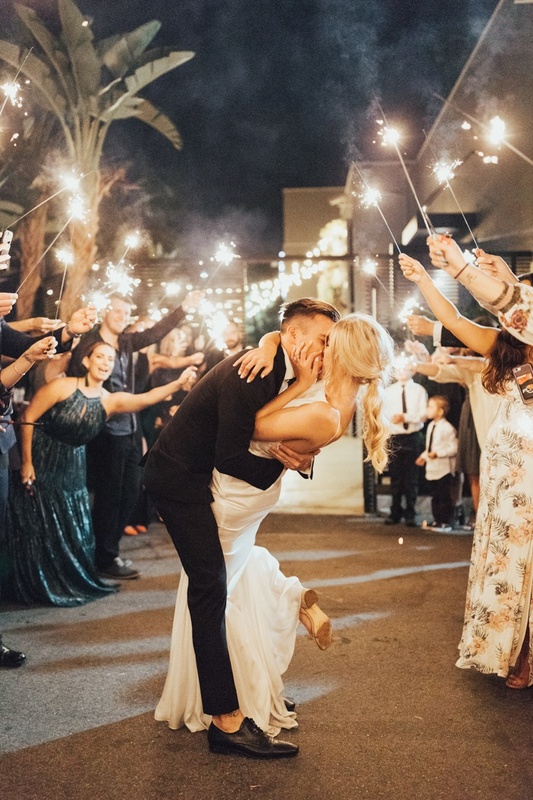 First off let me start by saying sparkler exits are my favorite – for reals! Anyways, they are totally in love, there is energy, their friends and family are so excited in the background, and their style was rad. 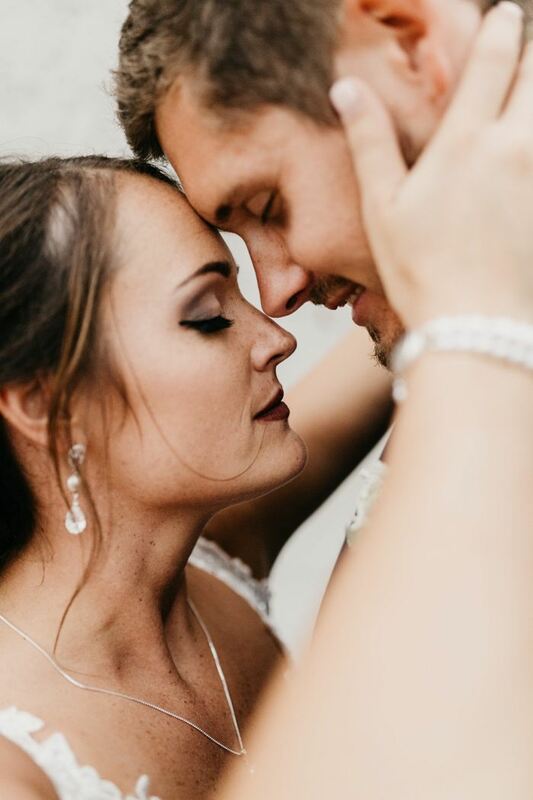 It was so fun to capture that moment and their happiness and energy can be seen through the way they are holding and kissing each other and it just makes me so darn happy! There are so many accounts I follow that inspire me! I would say a few are @indiaearl, @laurenscotti, @emily.magers, @dawn.charles, @logancolephoto, and @melissamarshallx. 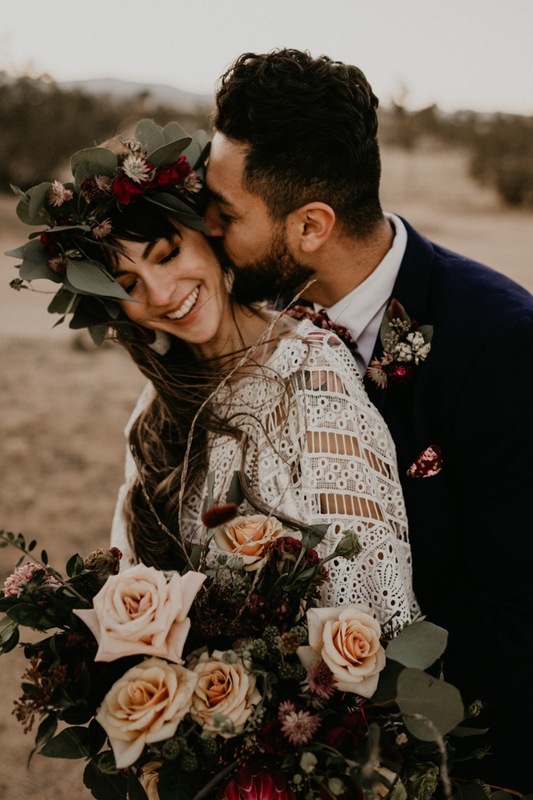 Instagram has been an amazing platform for having our work seen by a larger audience, and has allowed us to make friendships and connections with photographers all around the world. It’s also been a great way for potential wedding couples/clients to discover our work. Growing an audience on Instagram is definitely something that doesn’t come without commitment and investment of time. In the early days, we were super active on Instagram and grew our following by posting almost daily and sharing work that is consistent with our style. Don’t be afraid to share moments instead of just epic shots. We’re all emotional creatures and it’s the moving and emotional moments that we can all relate to and connect with. The most popular photo we’ve shared (and that continues to get re-shared by other users) was an emotional moment from last year! 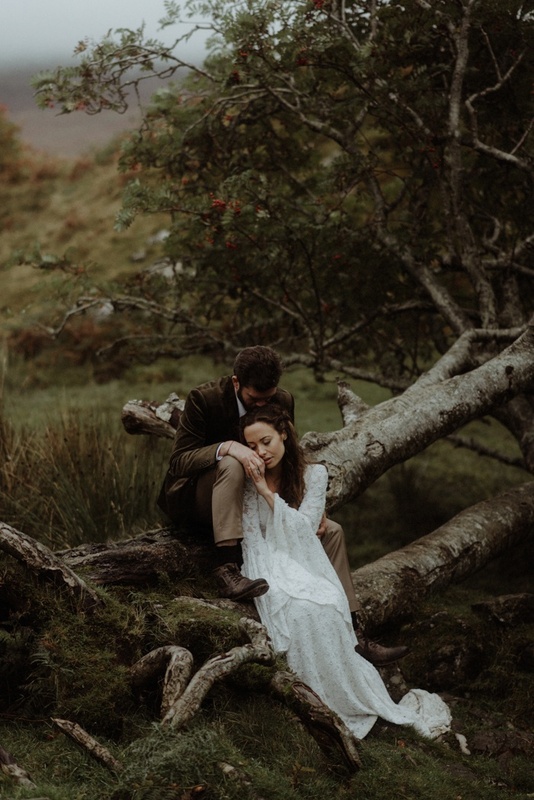 The photo was from the surprise marriage proposal of Zach and Jodi in the Scottish highlands, and it was the moment right after Zach’s proposal that Jodi broke down in tears of happiness. It’s emotional moments like this one that every one of us can feel and connect with so I think that’s why it had such a strong response. Comment below if you’d like to recommend an account for a future Instagrammers to Follow!